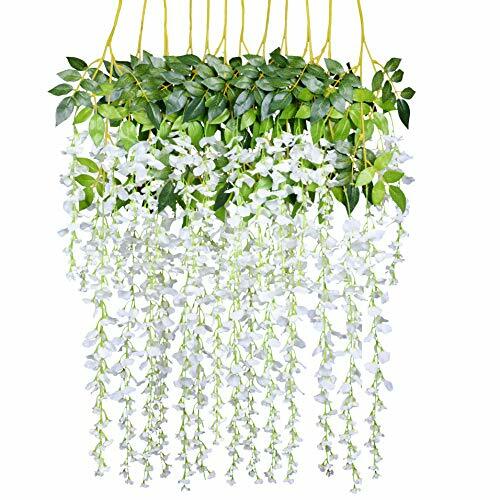 - Length:43.2'',1 longer string 17.71", 1 shorter strings 9.84",1 medium strings 13.77"
- Flowers are full and rich ,naturalistic look,hanging effect is better. - The flowers are realistic, perfect for wedding decoration, table arrangement or elegant home decoration. 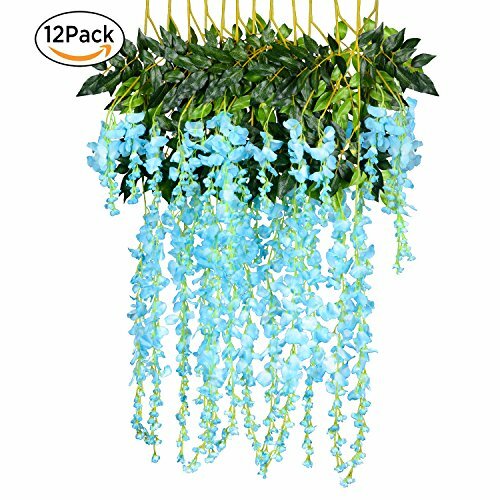 Perfect for wedding decoration, hotels, parties as well as other ceremonies, best decoration for home, hotel and park,etc.great for your flower arrangements! 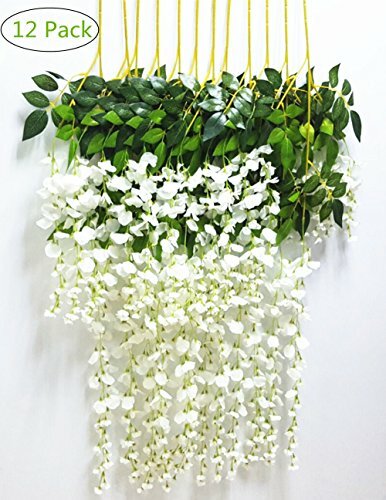 elegant! 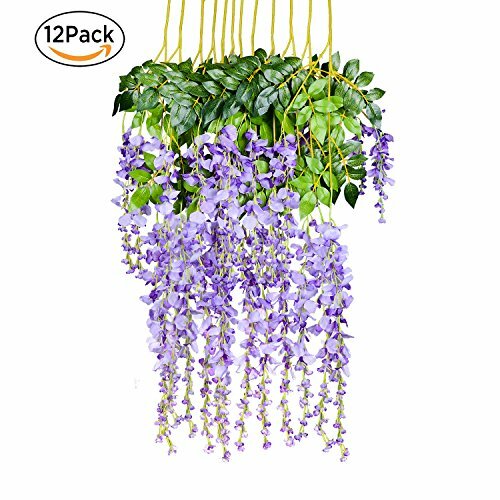 Package Content: 12x Artificial Flowers Vines,Size of each fake flower vine: About 3.6 Feet in length.per artificial wisteria with 3 branches,1 longer string 17.71",1 shorter strings 9.84",1 medium strings 13.77" The artificial hanging flowers vine are perfect for wedding bouquet,party, office decoration ,decor, altar,church,corsages, pew bows, reception centerpieces,You can hang it on the wall, doors, swing, mirrors and anywhere as you like to enjoy with artificial leaves vine. 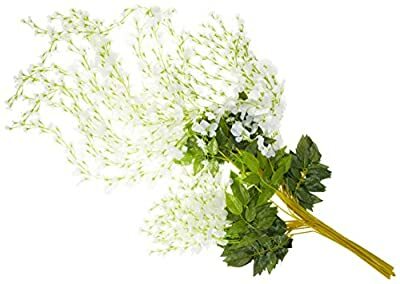 Natural-looking flowers, Full and soft petals,vivid realistic and lifelike,looked more natural and beautiful,perfect for wedding decoration,table arrangement or elegant home decoration,also suitable for outdoor. 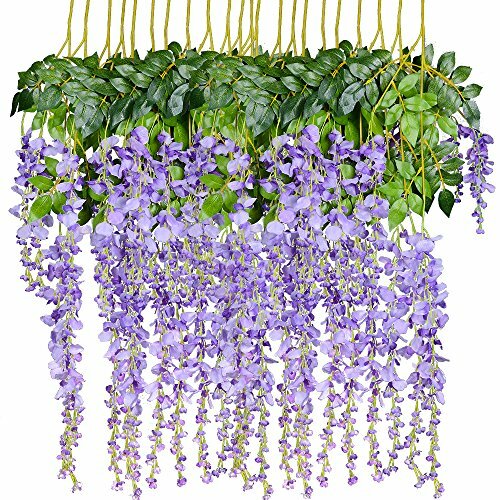 The wisteria flowers well made and vibrantly colored- looks and feel just like real flowers,Pure natural style,simple and elegant,Easy to wash and keep clean,Simple installation,beautiful wedding home party decoration The flowers were easy to set up and take down,easily bend it for hanging!Used for weddings,hotels,parties as well as other ceremonies, best decoration for home, hotel and park, etc.It's a best photo tool.